Tandoori chicken is traditionally made in the tandoor (clay oven), but it can be easily prepared at home in the oven. 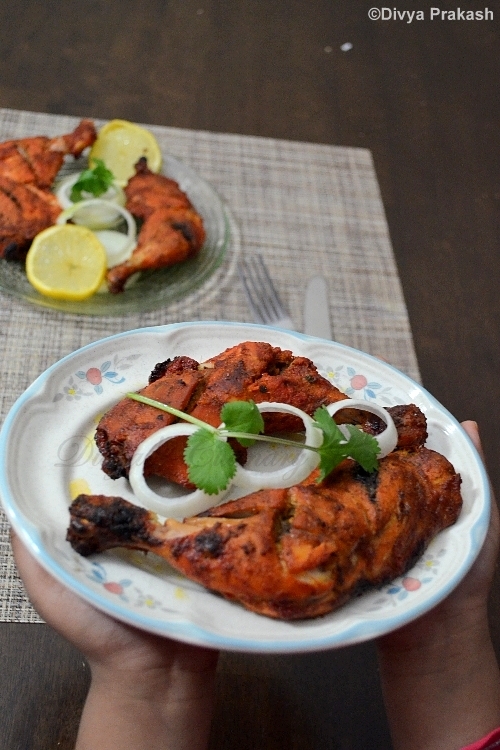 Today I am posting the easy Tandoori Chicken recipe. We love Tandoori chicken a lot. In India, whenever we go to restaurant, this will be the first one we order. 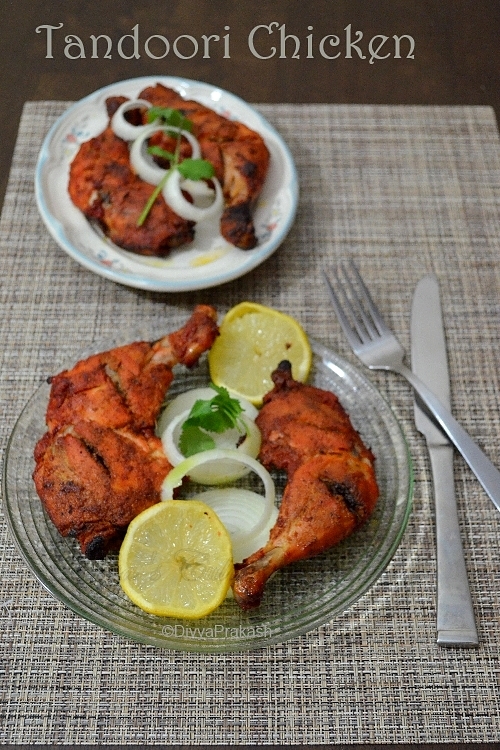 But after coming here, we rarely visit any Indian restaurants, so started making this tandoori chicken at home. Though I have made this so many times I couldn't blog about it because I couldn't click any pictures. So this time I didn't want to miss it. Though I made it in the night only, I managed to click few pictures. But it was tough with poor lighting and 3 pairs of hungry eyes watching me. So bear with the quality of the pictures. What are all the ingredients needed? Wash and Clean the chicken legs and make slits on it and keep it ready. 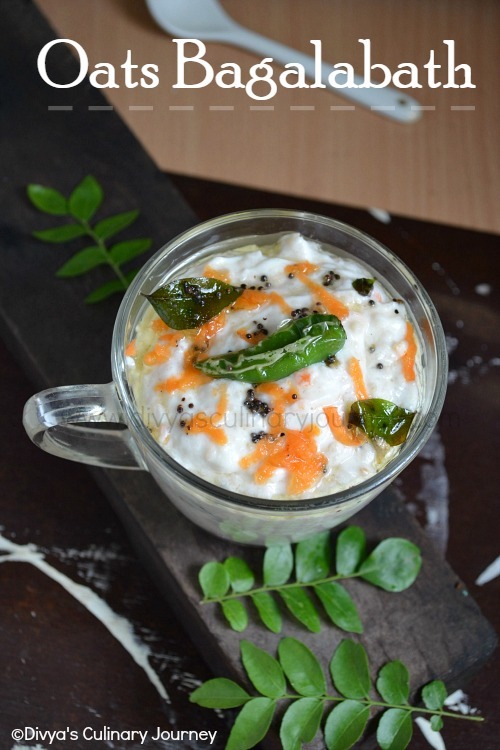 Then in a bowl combine yogurt, turmeric powder, chilli powder, coriander powder, cumin powder, garam masala, ginger garlic paste, salt, food color and lemon juice. Apply this marinade to the prepared chicken legs till they are fully covered in the marinade. Cover it and refrigerate it for at least 6 hours- 8 hours. Preheat the oven to 425 F. Prepare the baking tray by covering it with silver foil and apply oil to it. Then arrange the marinated chicken in the baking tray and bake for 20 minutes. Then using thong, turn it to the other side and bake for another 15 minutes. Then apply melted butter over the chicken and broil for about 3 -5 minutes till you get the charred effect on the chicken. Remove it from the oven. Arrange it in the serving tray and garnish it as desired and serve it warm. I used 4 chicken legs. You can use other part of the chicken too. But make sure it is de-skinned and has bones. The more time it marinates the better. So prepare ahead for this dish. Before arranging in the oven make sure you shake off the excess marinade from the chicken. Oven timings varies with each oven. So check yours carefully. While the chicken is in the broiling mode stay near the oven watching it. When it is just right remove it from the oven immediately. There was once I was away, the smokes started to come, making the smoke alarm beep. But Thank god chicken was not affected. So when the chicken is in the oven in broiling mode have an eye on it. wow Divya ! that looks awesome. Tandoori chicken cooked in oven looks unbelievable..looks so tempting and delicious..
Am in love with those droolworthy tandoori thighs,irresistible and very tempting..
wow..tandoori chicken looks so juicy n tempting...well done! Its just like the restaurant style tandoori dish.super. Looks restaurant style. The dish and the presentation. Very nice. Looks tempting..My favorite starter to order in restaurants.. Delicious chicken tandoori Divya. awesome clicks. This looks fantastic! I'm always looking for more chicken recipes. You just baked them on both sides, no broil even when you baste it with butter. Will try your way next time. I am not sure why my comment didn't go through. Divya, you just baked this chicken and did not broil even when you brushed with butter? Do we need to cover chicken while baking? Hi, Chanced on your blog via google. Tried this recipe out. It was lovely and yummy. Thanks. Your blog is lovely too. I used your recipe and made Tandoori Tangri last night with Drumsticks and it came out absolutely lip-smacking delicious...thanks a ton for such an easy and wonderful recipe! Hi Divya, I refer your blog every time i prepare Tandoor. I follow the exact measurement and it turns out great everytime. Received many compliments from friends.. Thanks for the wonderful recipe!!!!! So many wonderful herbs a spices in this tandoori Chicken. Love it. I adore tandori chicken and my mouth is watering now thinking of how great this would be! I don't often cook w/ these spices but man, it looks tasty! My husband would love this dish! 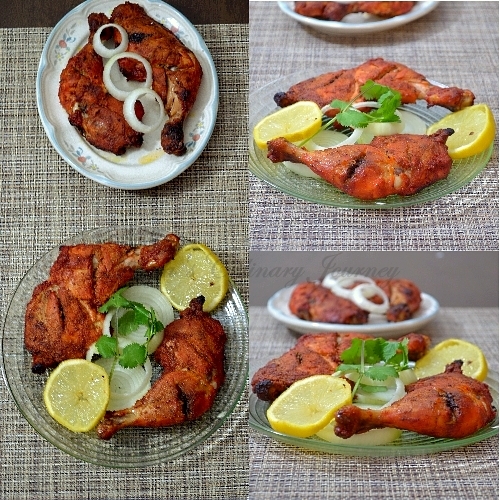 Your Tandoori Chicken looks mouthwatering...a must try recipe for sure! I always order Chicken Tandoori and am so glad to know have a way to make it at home without a tandoor! I've never made this at home, but now you've got inside my head. So many wonderful herbs and spices. This looks amazing! I adore Chicken Tandoori but never found a great recipe until now...thank you so much! It looks absolutely mouthwatering! Happy to know that my recipe worked well for you. Thanks for the feedback!